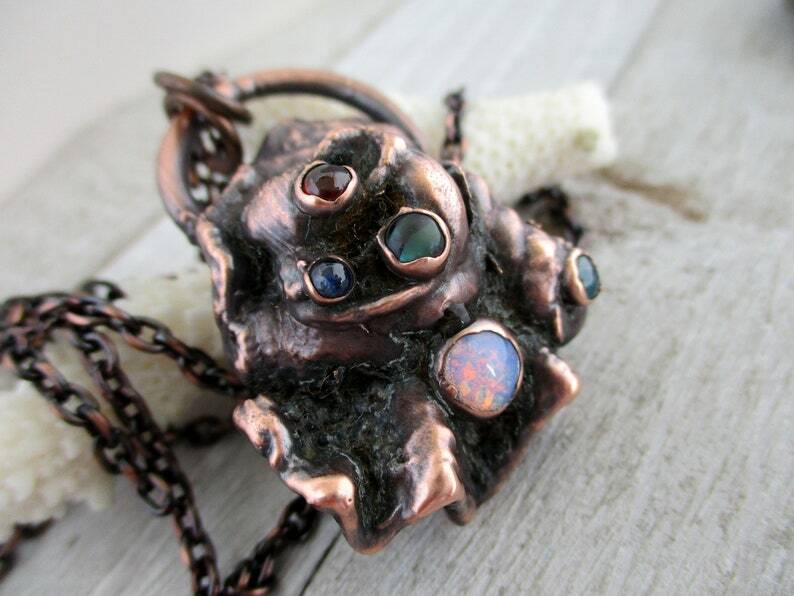 Starting with a seaworn and encrusted piece of oyster shell, found on a Florida beach, I added a tiny garnet, abalone shell, chrysocolla, kyanite and opal Czech glass. formed in the copper electroforming process, this is a very unique piece. Shown hung on my copper cable chain, you can also choose ball chain if you prefer.